Today we feature three good German Rieslings – two from the Mosel, one from the Rhine – to mark this month’s Wine Focus topic in our WineLovers Discussion Group, All the wines of Germany! You’re invited to read the conversations, join the discussion, and bring your own tasting reports. Click here to join in! FOOD MATCH: Its zippy acidity makes it a bit tart for drinking alone, but it comes into its own when its edges are softened by a fatty food companion, buttery cheeses or sausages or pork. 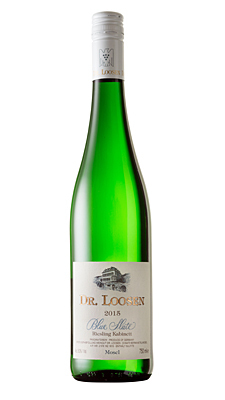 WHEN TO DRINK: There’s no rush for Riesling, but I would look to Dr. Loosen’s higher-end offerings for cellaring. This fine Kabinett is fairly priced even a couple of bucks over Wine-Searcher.com’s $18 average U.S. retail; if you can grab it from one of the vendors offering it in the middle teens, it’s a top value. 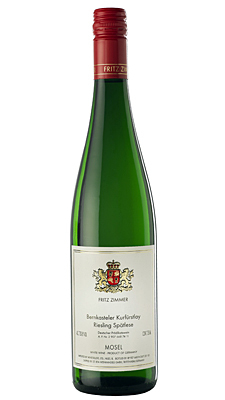 Dr. Loosen’s English-language website offers this fact sheet on all the estate Rieslings. Page down to find a paragraph on “Blue Slate” with links to technical information and label images. Find vendors and compare prices for Dr. 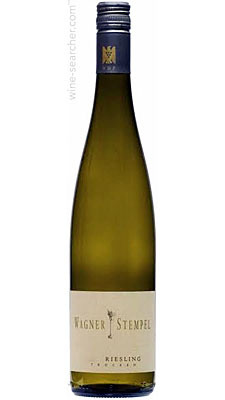 Loosen “Blue Slate” Riesling Kabinett on Wine-Searcher.com. FOOD MATCH: The bold aromatics and pushy acidity made a surprisingly good match with an early-fall dinner of Tuscan-style white beans with onions, garlic, good olive oil and fresh minced sage. [b]WHEN TO DRINK:[/b] It might be interesting to see what a few years in the cellar would do with its bold aromas. It’s a buck or two over Wine-Searcher.com’s $18 average retail but still fairly priced; better still if you can get a better price down to $15 at some Wine-Searcher links. Importer Rudi Wiest offers this fact sheet about Wagner Stempel on its web page. Find vendors and compare prices for on Wine-Searcher.com. FOOD MATCH: It went quite well with an Italian-style dish of long-cooked romano beans with onions and garlic and plenty of grated Parmigiano, and its light sweetness would also hold up to modestly hot-and-spicy fare. It also went well with cheese, and of course would be fine for sipping before or after dinner or any other time. WHEN TO DRINK: Although Riesling certainly can age, the modest model is so delicious right now, I’d be tempted to drink it up soon and save the more upscale bottles for cellaring. It’s a decent value in the mid-teens. Here’s a fact sheet about the winery from importer Winesellers Ltd.
WineSearcher.com came up short on this item, but you’ll find a large selection of various other Mosel Riesling Auslese wines at this Wine-Searcher link.